As the current market of cars becomes more and more technologically advanced, it's becoming apparent that the continued customization of cars is not a mere trend. In fact, at Volvo Cars Sioux Falls, we understand why this is, which is why we have a wide variety of cars that will allow you to personalize your driving experience. 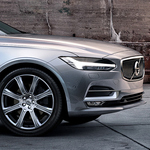 For example, the Volvo V90 is a great example of a popular luxury wagon that does just this, having multiple features that can change according to your preference. For example, the incorporation of Drive Mode Settings gives you five different options to choose from: Comfort, Dynamic, Eco, Off-Road, and Individual Mode. All of these options will change the way the transmission, engine, and air suspension works, giving you the smoothest ride for each specific circumstance. If you want to further personalize your ride experience, the Electrical Power Steering Personalization will also prove incredibly useful, allowing you to choose between low, medium, or high steering assistance. Want to try customizing a V90 for yourself? Stop by our dealership at any time for a test drive!